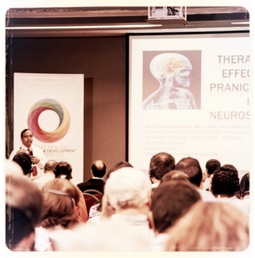 Objective: To present the effects of incorporating Pranic Healing in patients undergoing neurosurgical intervention. Results: Various clinical parameters of thirty patients undergoing surgical intervention in conjunction with Pranic Healing at XcellentCare Hospital in Chennai, India were measured. This was compared to patients undergoing surgery without Pranic Healing at another facility. Key clinical outcomes that were measured included duration of surgical procedure, blood loss, post-operative recovery, pain score, wound healing, Glasgow Coma Scale and ADL scores, among others. Conclusion: Overall results revealed that the use of Pranic Healing enables surgery to be easier for surgeons as well as patients. Pranic Healing reduces pain, blood loss, ICU and hospital stay, faster wound healing, improved neurological outcomes and overall improvement of daily living/quality of life.